It started with a tweet from @dogstrust, reading “Irish Water Spaniel or classic pic of Kevin Keegan? http://www.tinyurl.com/6g69mx“. One follower replied, whose mum was considering getting a dog. 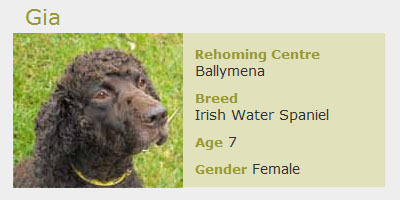 She lived near Dogs Trust Ballymena, so after doing a little bit of research, headed over to the centre that afternoon.